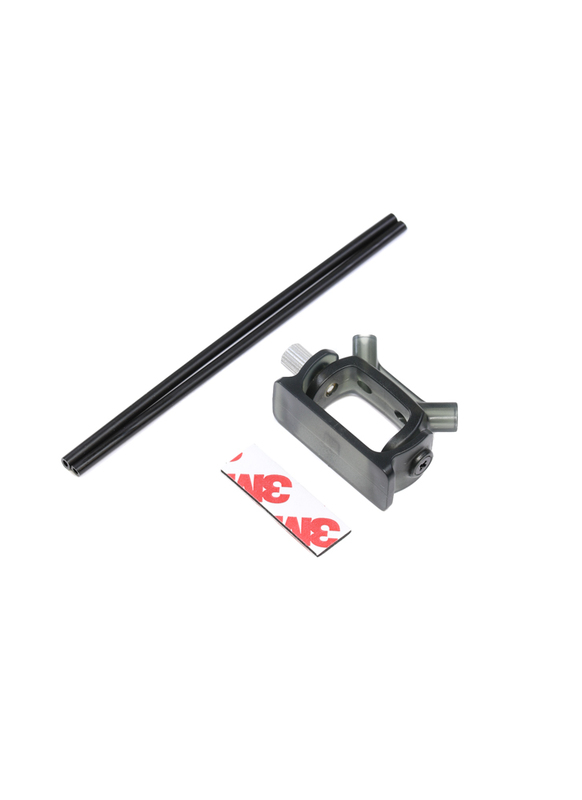 This adjustable receiver antenna mount is a simple solution that lets you cleanly fix your receiver antenna at the optimal 45 degree vertical orientation for maximum range and reception. A self-adhesive pad is provided to secure the mount to any flat surface on your model, while the knurled locking screw lets you alter the angle of antenna and fold it flat for transportation. The antenna tubes can be cut to any length and provide a secure safe way to vertically mount your antennas. The tubes are hollow so you can run your antennas up through them, or you can heat shrink them to the outside.